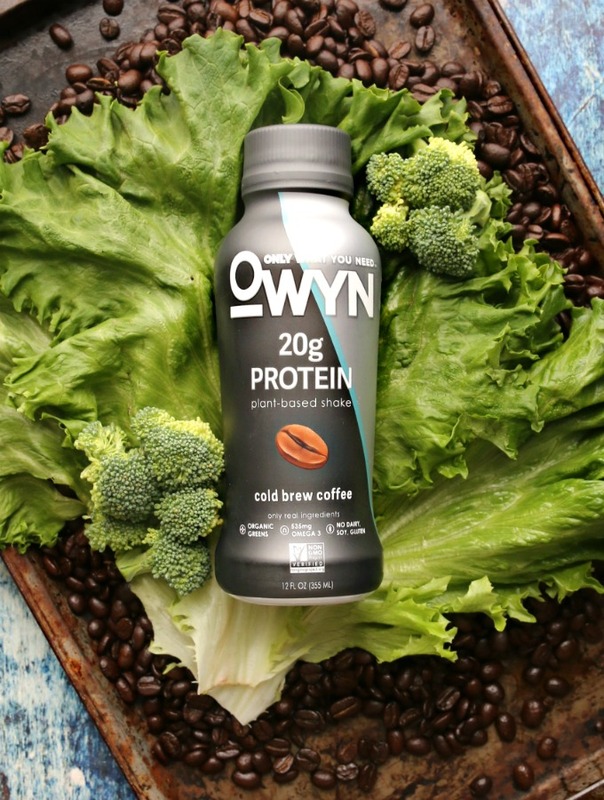 Quench your appetite and refuel after your workout with OWYN’s Cold Brew Coffee Drink. 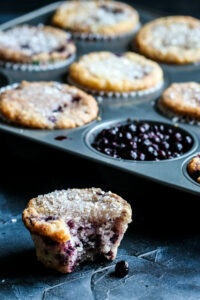 Vegan & Allergen-friendly. 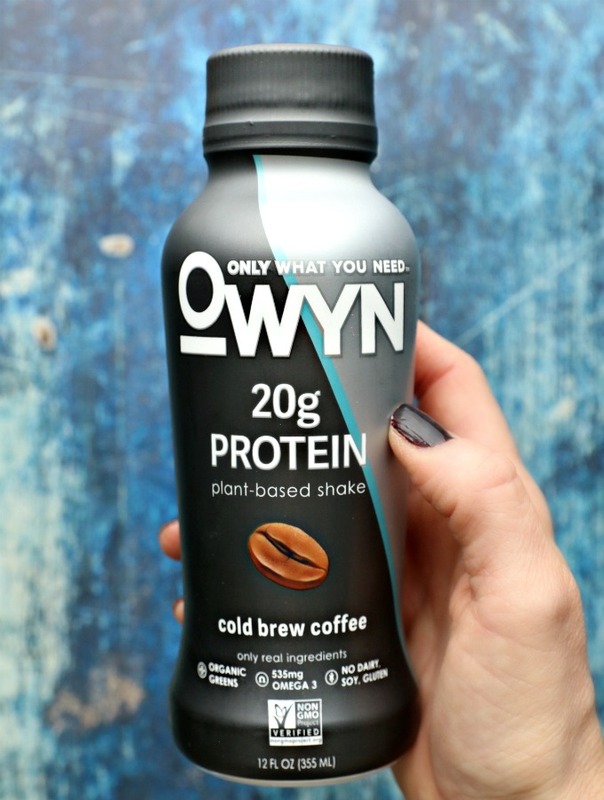 I’ve tried several tasty, plant-based vegan protein shakes but today, I’d like to introduce you to OWYN. 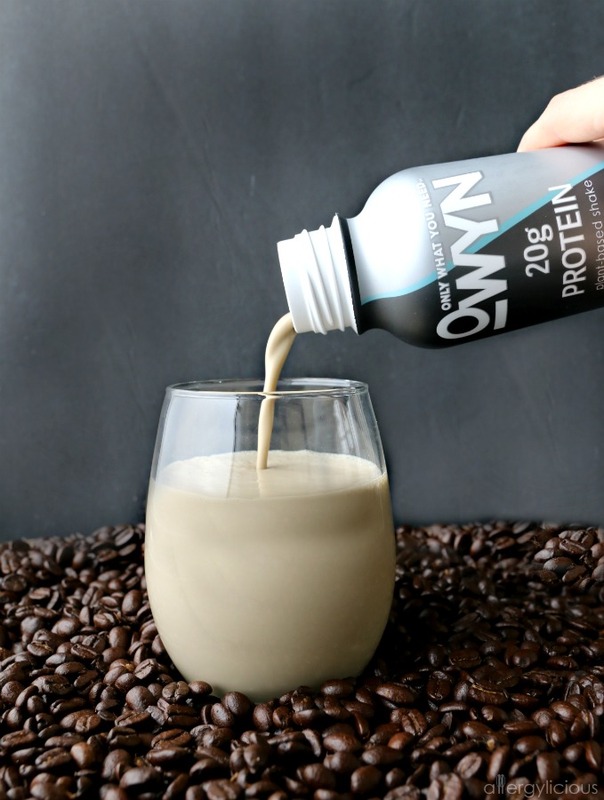 OWYN, also known as Only What You Need, is a delicious protein source that was created to meet the needs of those (like myself) seeking a clean, plant-based and allergen-safe protein shake that doesn’t compromise on taste. I was first introduced to OWYN last year during FABlogCon (Food Allergy Blogger’s Conference). 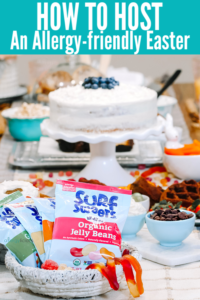 This is an event where you get to connect with other food allergy bloggers, learn from health professionals and doctors and meet with companies who are making a difference in the allergy community. OWYN was one of those companies. From the moment I started talking with founders, Kathryn Moos and Jeff Mroz, I knew they were my people. Athletes, crossfitters, vegan and living with food allergies was our world too and it was easy to relate with them. And then I tried their product! Oh my goodness, it was so good! Being a coffee lover, I’d have to say that my favorite is their Cold Brew Coffee! Smooth, rich Peruvian cold brew, like you’ve never tasted it before. YUM! But if coffee isn’t your thing, there are a lot of other flavors you can choose from. One of the things I love about OWYN is that you don’t have to compromise between good food and fast food convenience. 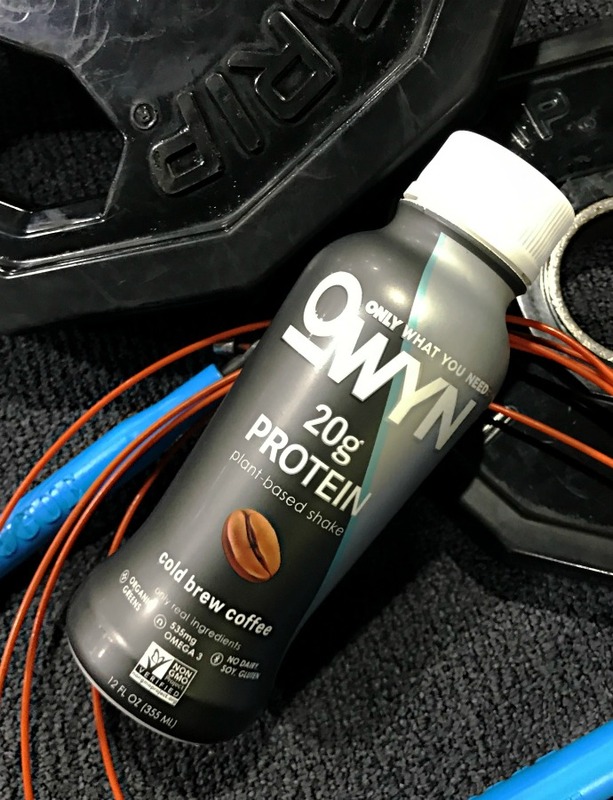 OWYN’s nutrient dense, on-the-go shakes and protein powders mean you don’t have to be chained the kitchen to get your daily dose of nutrition which I know you’ll appreciate. Grab it when you’re running out the door, bring it in your workout bag for a post-workout meal, or take it to work for an easy lunch or afternoon snack. Plus, you can add it to your Amazon order…super convenient. With quite a few flavors to choose from, you are sure to find your favorite. Typically I like to use vanilla for the base of my homemade smoothies and their vanilla does not disappoint. 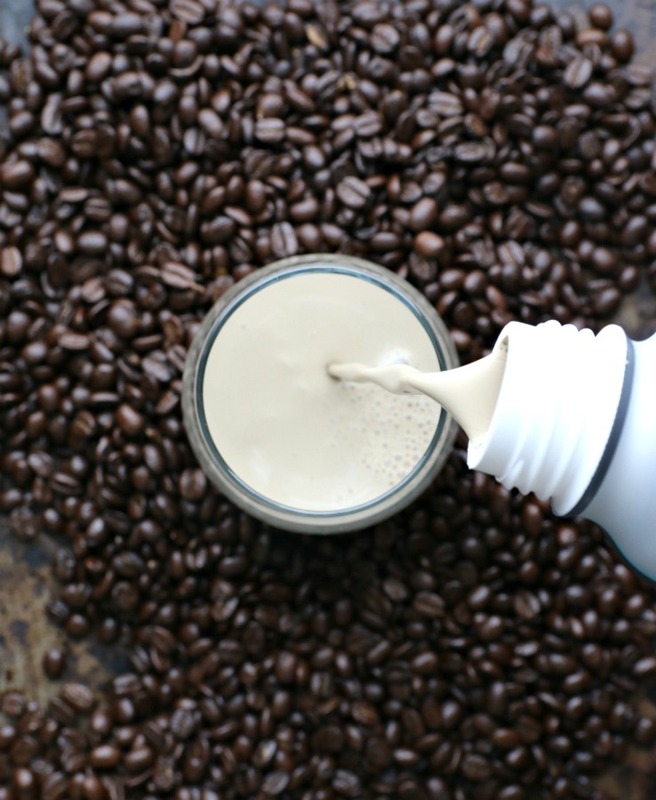 Its rich and creamy, easy to drink on its own or can be used as a delicious base for any mix-ins. Same with their chocolate….. OMG Amazing! Delicious, dissolves beautifully, wonderful flavor and texture and incredibly satisfying. OWYN is the first brand to be recognized by FARE (Food Allergy Research & Education) with a national partnership. 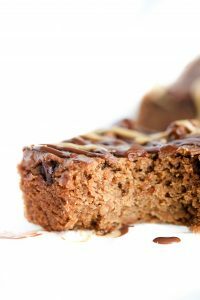 Their products are gluten-free and formulated without any of the top 8 allergens. And just to take it a step farther, they go the extra mile by testing final lots after production by two third parties, just to make sure there is no possibility of cross-contamination. Protein is important, so each serving, regardless of flavor, has 20 grams of complete protein made from a blend of pea protein, organic pumpkin and organic flaxseed which provide all 9 essential amino acids. You also get your dose of greens with added superfoods such as spinach, kale and broccoli. When you are living with food restrictions or allergies then you need to make sure you are still getting all the proper nutrients your body needs to function at its best. 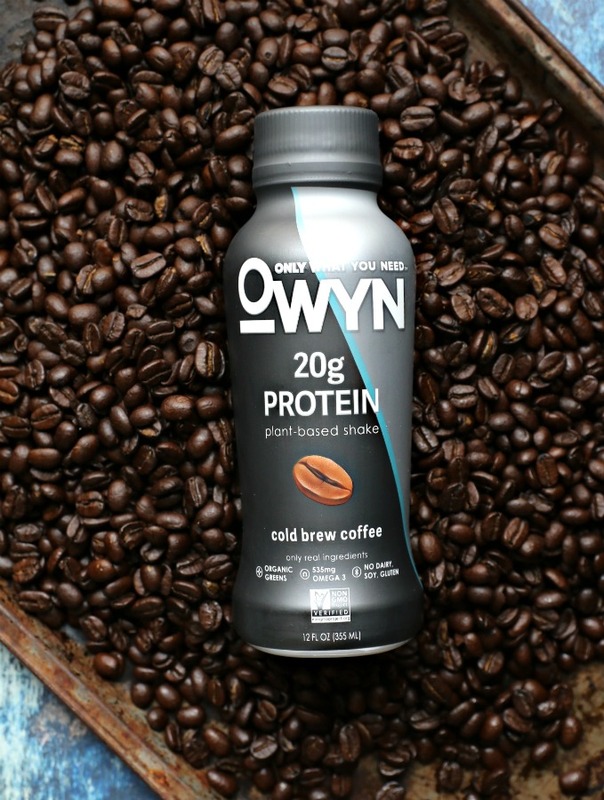 That is why one serving of OWYN’s Cold Brew Coffee provides you with 535mg of Omega 3, almost ½ of your daily need to help with cell structure and fighting inflammation. And don’t forget the fiber! It’s what keeps you satisfied longer, assists with blood sugar management, and is helpful for maintaining a healthy digestive system. A HUGE thanks to OWYN sponsoring this post. My family & I just LOVE their Ready-to-Drink Shakes and their commitment to providing delicious foods for those with food allergies or restrictions. OWYN’s Ready-to-Drink Shakes and Ultimate Wellness Powders can be ordered online at liveowyn.com or at Amazon.com. Sign up for the Allergylicious newsletter for a fresh serving of content delivered every week to your inbox! Grab a copy of my eBook and stay in touch on Facebook, Twitter and Pinterest for all of the latest updates. Interesting! I haven’t seen that brand yet…will keep an eye out! FABlogCon was fabulous wasn’t it? I loved getting to try so many things. Since I am not a coffee drinker, I was so excited that OWYN had other options. You can never go wrong with chocolate! OH yes, so fun and you’re right, there’s a flavor for everyone. With all that protein, I won’t feel so guilty about coffee! Sounds delish! I love a good grab and go. I think the coffee would be my fav, but it is nice to have some options. Yes, always nice to have options. Their vanilla and chocolate are tasty as well. OWYN protein is so good! I haven’t seen the coffee flavor around though. I’ll have to keep looking, your review made me want to try it! Thanks Madison. If you love coffee, then you’ll love their cold brew. I found it on Amazon just in case you order from there. Fab photos! I often get asked about a top-8-free protein drink. I’ll have to let me readers know about this. Thanks! Sounds like a really convenient and delicious option! Convenient, delicious, plant-based and allergy-free. I love this stuff. I haven’t seen this brand in the UK but I’ll keep an eye, as looks like it would be a great pre or postworkout drink! Oh yeah! It’d be great for pre/post workouts. I hope you can access it soon. Is Amazon an option? If so, there is a link in the post that may be helpful. I’ve never heard of owyn before but it looks really cool! Love that it’s top 8 allergen free! I haven’t seen them in stores yet but you can find them on Amazon. I just love having an allergen-free protein drink! Thanks for such a detailed review Nicole. It looks so creamy. I’d also go for the cold coffee brew flavor, Yum! Jen, I’m glad you enjoyed the review. My whole family really loves OWYN drinks and so it was an easy one to write. I do hope you try it sometimes….especially the coffee. It sounds and looks like a great drink! I’m not sure if we have it over here in the UK, but I will defo keep an eye for it! I hope it gets to the UK soon. It’s so good! By chance, can you order it from Amazon?